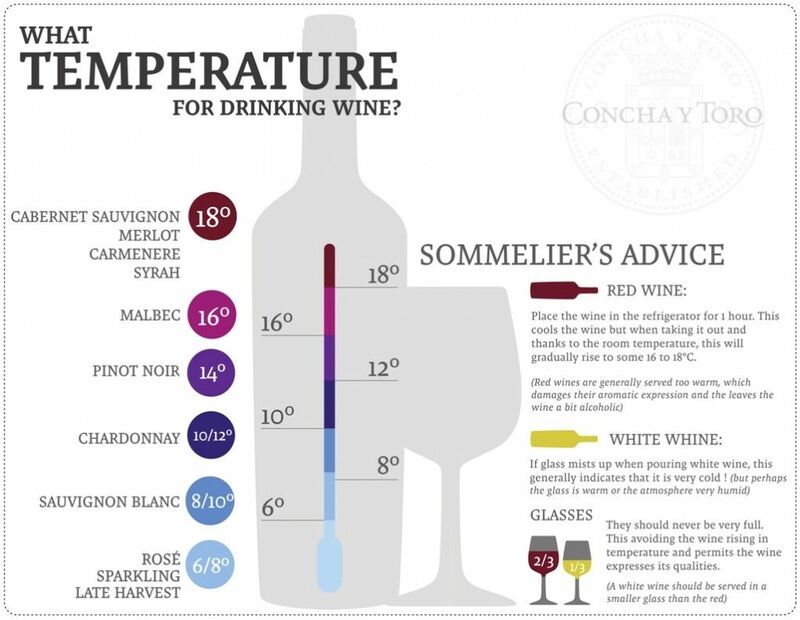 There is an element of subjectivity here since everyone's palate is different but by and large this infographic from Concha Y Toro for wine serving temperatures is very useful. Keep in mind that recommendations may change according to the winery, the cultural norms and the environment and terroir from which the wines emanate. However, in summer, Soledad recommends serving wine a little colder than stated: “In summer, the ambient heat rapidly increases the temperature of the wine in the glass, so, by pouring wine a little colder, it will reach its ideal temperature in a few minutes. Otherwise, the wine will reach a temperature higher than the right one when it’s poured into the glass”. What Temperature For Drinking Wine? Herein lies another reason to drink from traditional stemmed wine glasses rather than the fashionable stemless ones.